The Citron Foug was made at the same factory as the Asperges. The fuze body was made of wood, holding a striker, creep spring, primer and safetyfuze with a crimped-on detonator. 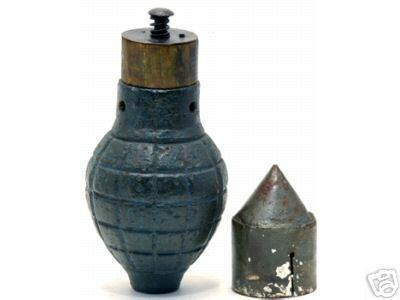 The fuze was covered by a safety cap that is known in several shapes. 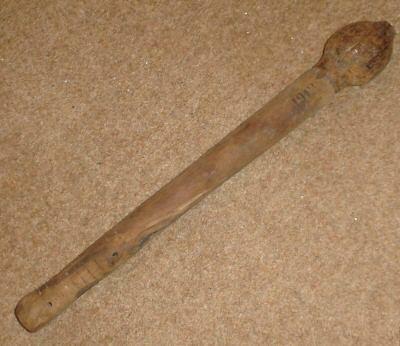 Length: 149mm , diameter: 70mm. Weigth 550gram including 90gram Cheditte. Photos below are property of Lewis. 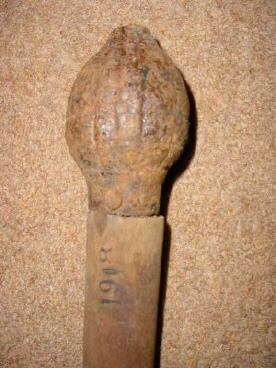 This Trench Club was recovered from the battlefields in Northern France. The photo below shows two C.F's in a carrying vest. 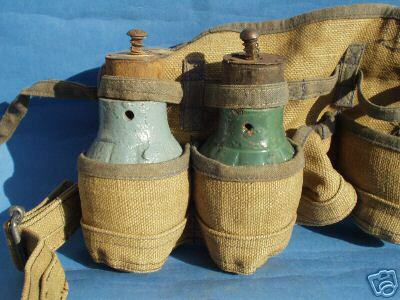 These were still in use during the Vietnam war.